Zeta, India’s most revolutionary digital employee benefit solutions provider, has launched Zeta Super ID - a unique payment solution that uses an employee’s existing company ID Card to make payments. 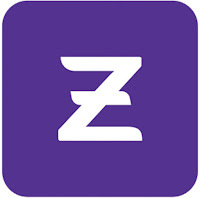 The Zeta Super ID, which functions as an RFID payment card, is linked to the employee's Zeta account and can be used to make quick payments within the office cafeteria. Employees can order food at the office canteen and pay by simply tapping their access card on the vendor’s reading machine. The amount is then automatically deducted from the employee’s Zeta account. Employees can either access their Zeta Optima™ electronic meal vouchers or even their Zeta wallet (Cash Card) and make payments using their Super ID. Zeta Super ID is a part of Zeta’s automated cafeteria portfolio - Express. Zeta Express® provides end-to-end solutions for companies right from ordering food, to cashless payments to managing cafeteria vendors. Several companies including Telenor, Tata Group and Oyo Rooms have successfully implemented Zeta Express® in their organisations, which has provided thousands of employees with the convenience of hassle-free payments and quick meals. Zeta is a leading fintech company on a mission to digitise employee benefits, cafeteria solutions, and rewards and recognition solutions. Zeta started this journey by launching an innovative cloud-based smart benefits suite called Zeta Optima™ in January 2016. The Optima™ range includes smart benefits such as digitised meal vouchers, fuel expense reimbursement, communications card, corporate medical reimbursements, gadget card, digital gift card and LTA card. Zeta's offerings also comprise Zeta Express®, an innovative cafeteria management and payment solution aimed at making corporate cafeterias cashless. This includes the Zeta Super Tag™, Zeta Kiosk, Express Remote Ordering and Zeta Super ID. Zeta also offers a rewards and recognition programme, which is a one-stop gifting solution called Zeta Spotlight™. Launched in April 2015, Zeta has over 350 employees spread over 11 Indian cities: Mumbai, New Delhi, Hyderabad, Bangalore, Chennai, Pune, Kolkata, Nashik, Baroda, Kochi and Ahmedabad. Our corporate clientele includes over 1500 clients across industries ranging from large conglomerates to small start-ups. Zeta is ISO certified and PCI-DSS compliant.